Origin Native to Himalayas in India and Nepal. The plant is mostly found in Himalayas, Bhutan, Sri Lanka and in the hilly areas of Nepal. 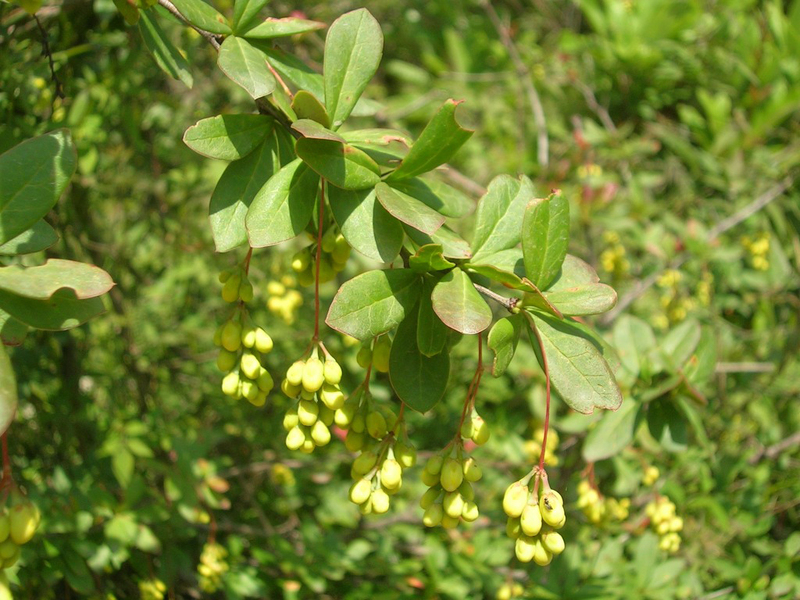 Berberis aristata, also known as Indian Barberry, Nepal Barberry, Tree Turmeric, Darlahad and Ophthalmic barberry is a shrub which belongs to the family Berberidaceae and genus Berberis which composes from almost 450 to 500 species. It produces succulent and acidic berries which are often consumed as a refreshing fruit. The shrub is native to Himalayas in India and Nepal. The plant is mostly found in Himalayas, Bhutan, Sri Lanka and in the hilly areas of Nepal. It is at height of 2000 to 3000 meters in Himalayan region, Sri Lanka, Nilgiri hills in South India, Bhutan and Hilly areas of Nepal. It is mostly cultivated for its edible fruits. It is an erect, glabrous, spinescent and evergreen shrub growing upto 2 and 3 meters high. The toothed leaves are 4.9 cm long; 1.8 cm broad, simple, pinnate and deep green. The leaves are obovate-elliptic and subacute-obtuse. Flowers are yellow, hermaphroditic which is 12.5 millimeters in diameter. The fruit is an oblong-ovoid or ovoid berry which is 7 millimeters long and 4 millimeters in diameter. Every fruits contains 2 to 5 seeds whose color range from yellow to pink. The fruit is aconite violet in color which has plum purple flesh. The fruit is succulent and has acidic to sweet taste. Since long time ago, Indian barberry has been used in Ayurvedic medicine. It possesses antifungal, antibacterial, anti-inflammatory, antioxidant and hepatoprotective properties. Indian barberry is used as a treatment for fever, ulcer, inflammation, infections, skin problems, eye ailments, wounds, diarrhea etc. 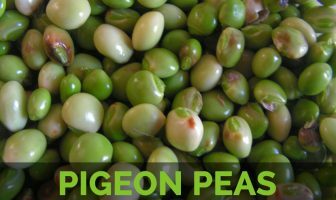 It also prevents the health conditions such as heart failure, malaria, liver disease and jaundice. It is used for both internal and external use. 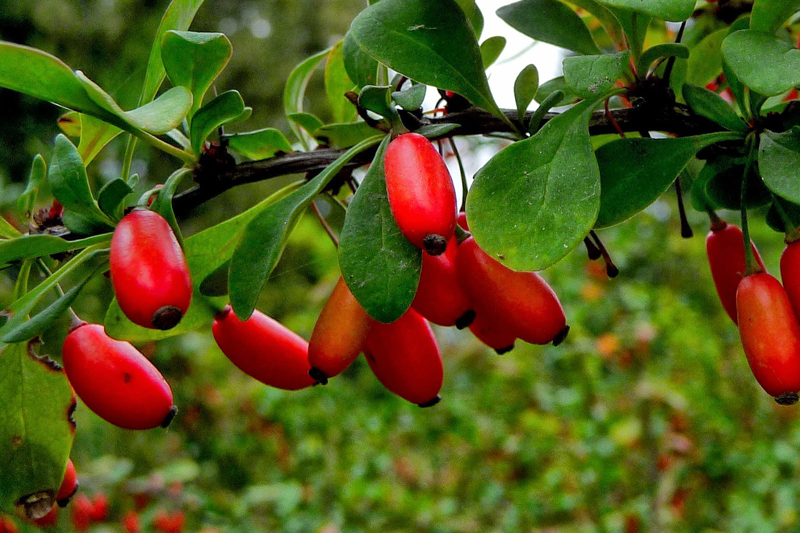 The root bark has berberine which has antifungal, antibacterial, antioxidant and antiviral activities. 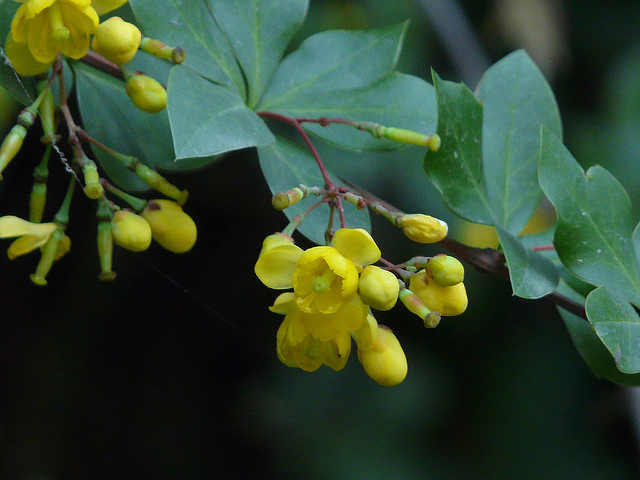 Berberis aristata helps to treat of urinary ailments. Rasaunt is prepared from the plant of Indian Barberry. It is used as a mild laxative. 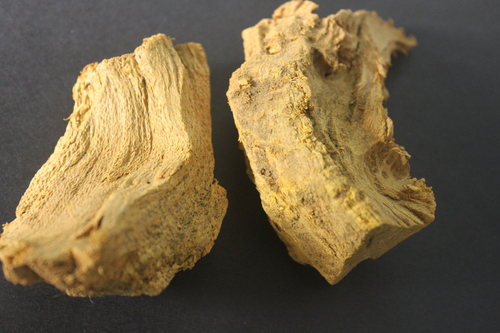 The dried stem, wood and root bark has antiperiodic, diaphoretic, deobstruent, tonic laxative and ophthalmic properties. The infusion made from Indian Barberry is used to treat malaria, skin diseases, eye complaints, jaundice menorrhagia and diarrhea. The fruit, leaves, stems, wood, root bark and root are used to make medicines. It is used to treat heart failure, malaria, liver disease, heavy menstrual periods, eye infection, stomach swelling, skin diseases, diarrhea and jaundice. Tree turmeric is used as a treatment for wounds and burns. The roots help to treat ulcers, ophthalmia, urethral discharges, fevers, jaundice etc. The leaf buds are chewed for affected teeth for about 15 minutes. Paste of this herb is used externally to reduce pain and inflammation and best use of this herb is in eye related disorders. It treats spasmodic pain, leucorrhoea and menorrhagia. It possesses anticancer properties which prevents from human colon cancer. The decoction made from this herb is used as gargles for throat infections and also improves voice. Berries and bark helps to treat gum diseases. 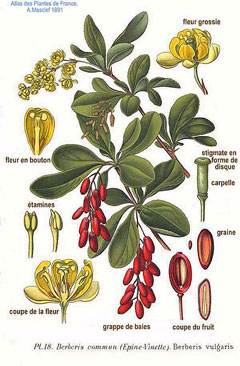 The intake of Barberry root tea is a treatment for sores, kidney ailments and ulcers. The douche which is made from Indian barberry helps to treat vaginal discharges. The decoction made with haridra helps to treat uterine inflammations. The external application of paste can provide relief from pain as well as inflammation. The paste is used as a treatment for fistula and syphilis ulcers. Decoction has to be used for gargling two times a day to treat gum diseases. Rasaut could be mixed with alum, ghee and applied in eyes to treat eye diseases. The grinded Rasaut could be mixed with honey to cure stomach infections. The decoction made from 5 gm of roots of Indian barberry and 400 ml of water treats piles. The decoction made from 5 gm of dried giloy, 5 gm of Indian barberry and few basil leaves should be consumed twice a day that helps to treat a chronic fever. The decoction made from ½ tbsp. 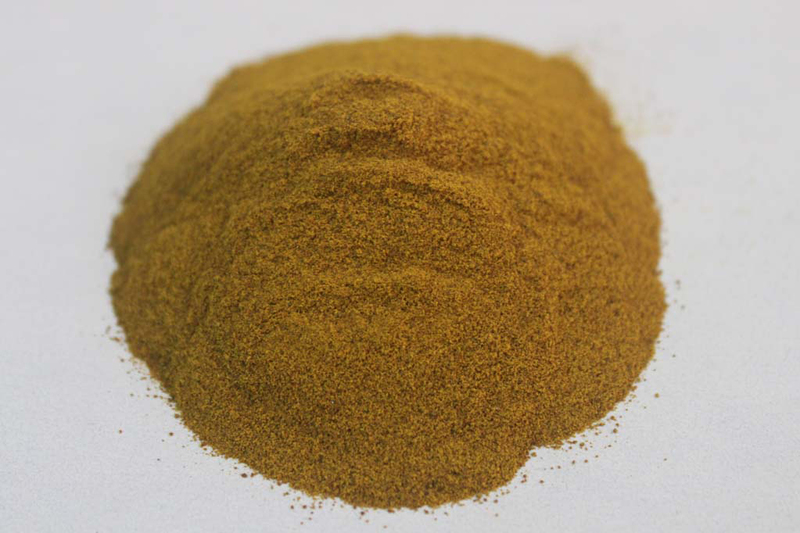 of amla powder and 1 cup of rasaut helps to provide relief from painful urination. 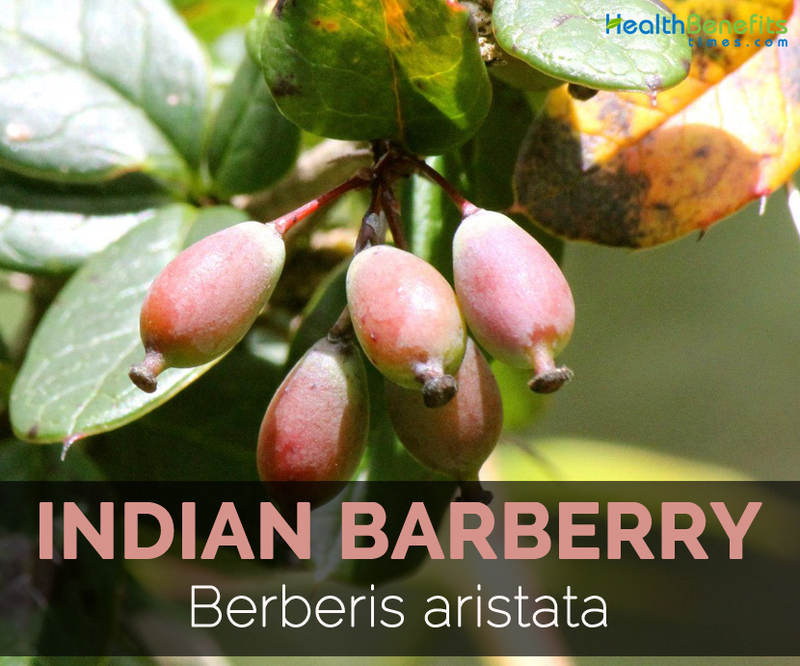 Indian barberry is not safe for the newborn infants because the barberine could lead to the brain damage in infants. Breast feeding and pregnant women should not use Indian barberry because barberine could be transferred through the breast milk to the infant. The excessive use of Indian barberry causes the symptoms such as severe diarrhea, vomiting and excessive sweating. Avoid the use of Indian barberry if any reaction occurs. The fruits are added to the dessert. The roots are used to make an alcoholic drink. In India, the dried fruits are used like raisins. Flower buds are added to make sauces. Berberis gracillima K.Koch ex Miq.